One of the most reliable equipment in the industrial field is the forklift and based on research, it is involved all over the United States in more than 856,000 task. It helps to make things easy for laborers to do their job in lifting and moving things in a certain distance and place. It may sound friendly, however, misfortunes with forklifts are currently increasing. Usually, accidents happen because of unbalanced load that can cause a forklift to tip over, sometimes pinning and pushing a person against another thing that stands on its way makes it very fatal for its operator and unwanted victim. There are approximately 61,800 minor injuries, less than 35,000 major injuries and 100 deaths that forklifts are responsible for these incidents according to the Occupational Safety and Health Administration of Depart of Labor in the United States. Precautionary measures, training and adequate knowledge in operating forklift could lessen the said accidents and increase the trust rate of having one in your work or business. In order for us to help you avoid this threat when working with forklifts, we listed down the right safety measurements that you would really need. 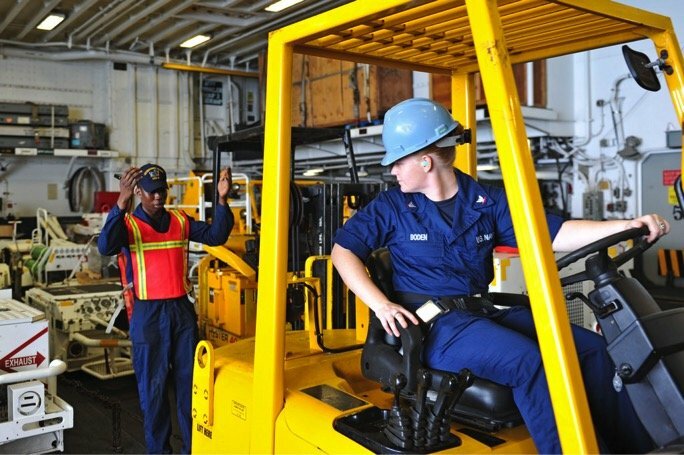 Department of Labor’s OSHA mandated every operator to have a proper training in working with forklifts. Not to mention about their $2 million collections every year because of the violation of some companies and establishments that didn’t meet this requirement. A study even showed that accidents with this machine come from lack of training. An annual review exercise aside from new hires creates an association with tenured ones that could help them grow as an operator as well. On the side of the fact that this training is necessary to avoid foreseen accidents, it is actually a great kick-start as well for those who are new to this environment. It’s actually time savvy for everyone when we accelerate above the norm. But this thinking is not appropriate when it comes to forklifts. Using it too fast is one of the main reasons why accidents are being associated with the said equipment. Regulating the speed based on the weather conditions and driving situations is a must to prevent unwanted injuries and worse, even death! Remember, it can happen anytime and the only thing that can resolve this are safety measures that should be understood every now and then. Operators should maintain the forks not to be leveled more than 4 inches above the ground. Slowing down won’t hurt in driver’s safety especially in sharp corners that are really tricky to travel on. But for those who have loads greater than 10,000 lbs., their forks should be elevated 8” off the ground to prevent forklifts tip over that gives a result for the 14% of accidents happening with the same cause. Confidently speaking, it is really the machinist’s responsibility to avoid nearby workers even when the forklift is not moving. They might think that since it is not powered, anyone can always pass through a forklift but they never see it in a different picture. 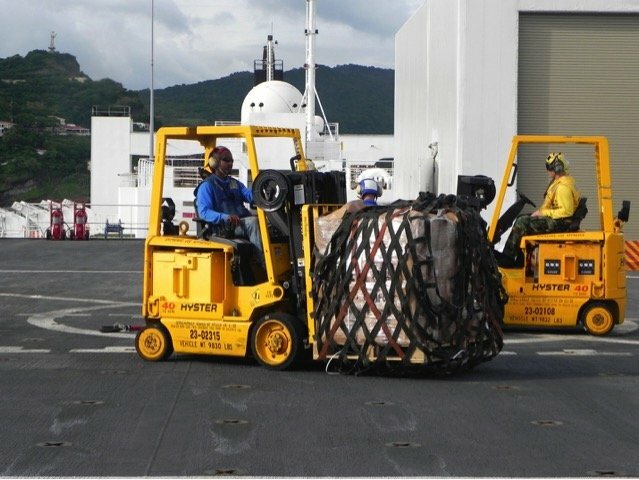 The hazards tangled within forklift and the vicinity made it more complicated for some to understand the accidents. But one thing’s for sure, making the trail visible for the handler will make things easier for them in order to finish their work and help the others proceed with their own specialization. Placing safety lights in front of the forklift and at the back of it is a big help for others to be notified instead of getting caught in an accident! Sometimes, several signs and ads to inform employees in the area to be careful with forklifts are applied but they tend to ignore it, not because it looks very easy to use but with the fact that operators are expected to avoid them. A helper that can check everything for drivers when they have big loads will make them at ease to proceed with what they’re doing, and will also increase hazard literacy in this industry. Sure there are more things to remember but these are the foundation that will help any driver master the safety measures in using forklifts. This equipment looks subtle, but it is chaotic in a way when improper usage and lack of skills combined with making it work. Simple guidelines and awareness will prevent statistics regarding forklift accidents increase.